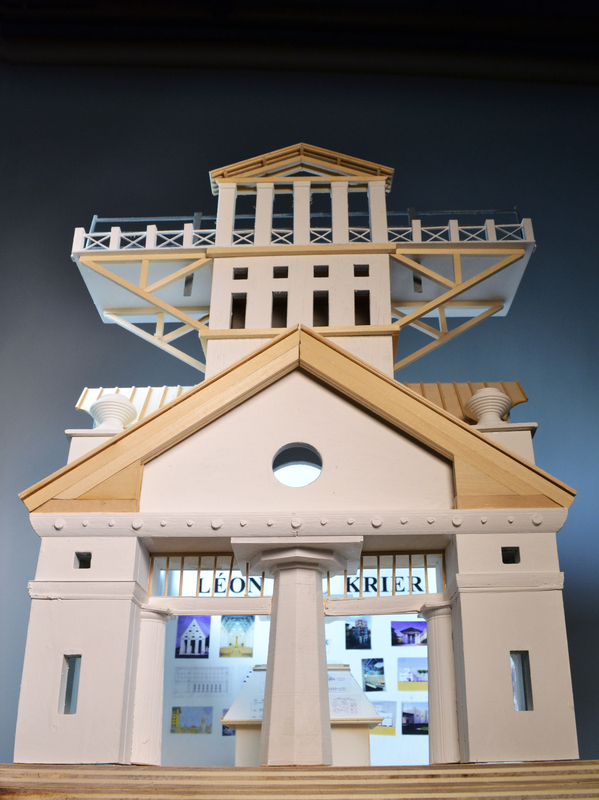 designed and built for Robert A.M. Stern’s parallel moderns class, the facade in the style of Leon Krier, containing a miniature exhibition of the architect's work, was inspired by the architect’s sketches and built work. 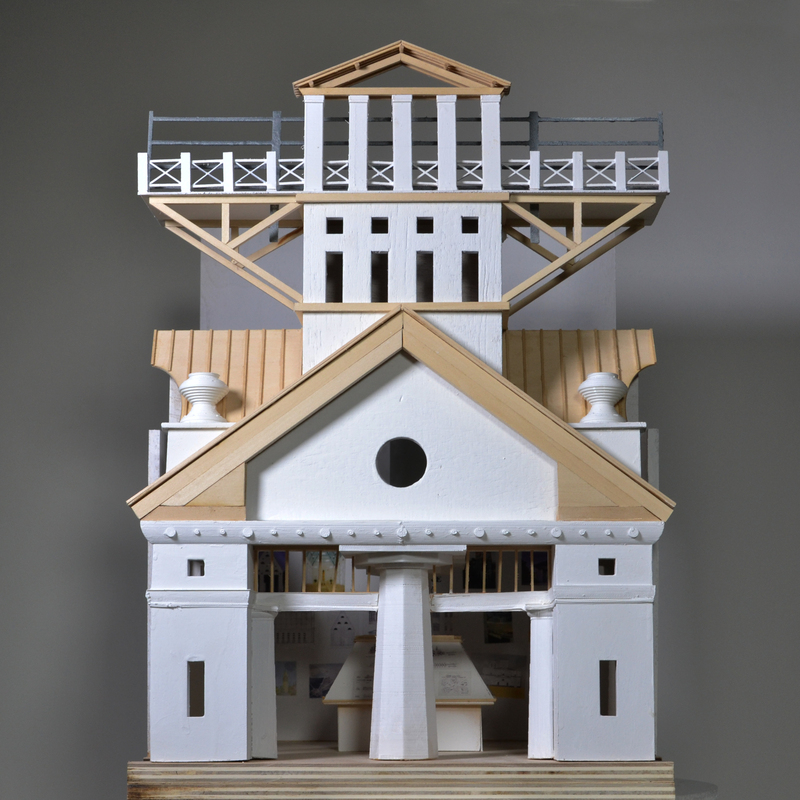 Upon seeing the model, Krier wrote that it "reminds me of a bud which is bursting with all sorts of ground-swelling energies but is just in the beginning of opening up." Read the accompanying research paper here.